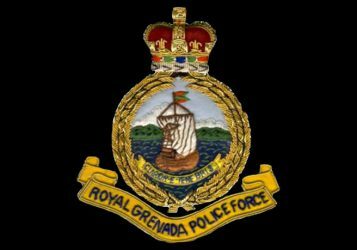 The Royal Grenada Police Force is warning persons who engage or resort to physical violence that it will not be tolerated, even in cases where the injuries are at the lower end of the scale of seriousness. Recently, police arrested and charged several persons for the offences of wounding, causing harm and grievous harm. Charges of wounding were laid against Damion Herry, 28-year-old, Pest Control Officer residing at Archibald Avenue, St George; Bernard Licorish, 45-year-old unemployed resident of Gouyave, St John; Kent Jessamy, 30-year-old shopkeeper of Grand Bras, St Andrew; and Kevin Francique, a 30-year-old Food Vendor, resident of Tabor Hill, St David. Charges of causing harm were laid against Samuel Ragbasingh, 32-year- old Caretaker of Middle River, Gouyave, St John; Nathalie Vincent, 32-year-old School Teacher and Natasha Vincent, 30 year of age, unemployed, both residents of Central Depradine Street, Gouyave, St John; and Chris Parris, 26-year-old Farmer, resident of Marigot, St John; while Garvin Clarke, 28 years old of Grand Mal, St George was charged with the offense of grievous harm. A charge of damage to property was laid against 34-year-old Danielle Clarke of Springs, St George; while Shendell Gentle of Gouyave Estate, St John is facing a charge of praedial larceny for allegedly stealing 40 oranges and 2 hands of green bluggoe.